The properties of magnesium chloride in the body, determine that its presence in the daily diet bring significant benefits for health maintenance. However, magnesium chloride, as any active ingredient, is not free from contraindications that must be known to avoid adverse side effects. How do you prefer to consume magnesium chloride? Magnesium chloride is a chemical compound made up of chlorine and magnesium, which has many industrial applications, in addition to important functions in the body. According to an interesting article written by Reverend Joseph Chorr, professor of physics and biology, who based his studies of the properties of magnesium chloride on personal experience, many diseases are due to the lack of magnesium chloride in food or the absence of adequate amounts for the body to be able to use it. The information on the benefits of magnesium chloride to treat health problems came to him through a book by Father Puig, a Spanish Jesuit. From what Chorr could experiment on his own body, when starting to take magnesium chloride "the magnesium removes the calcium calcified in inappropriate places and then places them firmly in the bones. Also it is able to regularize the bloodstream, stabilizing the pressure. The nervous system is left completely calm, feeling more lucid." How do you prepare magnesium chloride? Place it in a glass container and dissolve in it 30 grams of crystallized magnesium chloride. Mix with wooden spoon, cover and store. However, if you do not want to prepare it yourself, magnesium chloride can also be purchased already prepared or in tablets. In any case, it is important to consult with your doctor and if indicated only buy products with the corresponding controls from health agencies. How do you take magnesium chloride? Bear in mind that there have been cases of poisoning from magnesium chloride, so only a physician can indicate the appropriate dose for each particular case. 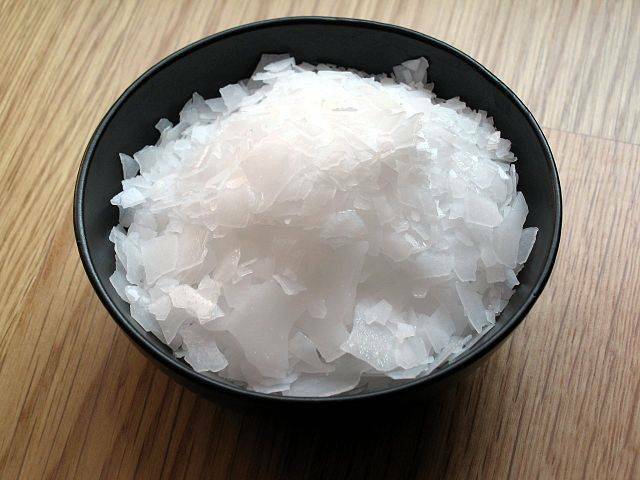 What are the properties and benefits of magnesium chloride? Prevents heart attacks, because ithelps avoid arterial calcification. Prevents arthritis: the magnesium prevents uric acid from being deposited in joints. Prevents osteoporosis: because of its calcium-binding action. Normalizes blood pressure: prevents calcium from concentrating in the blood stream so that it doesn't harden the arteries, helping to prevent hypertension. Balances the nervous system: it’s a tranquilizer and natural relaxant. Prevents cancer. Magnesium chloride performs three very important cellular functions related to cancer: assists in the correct duplication and repairal of DNA, promotes cell reproduction and reduces tissue inflammation. Prevents the formation of kidney stones, preventing calcium oxalate from accumulating in them. Helps prevent atherosclerosis: magnesium chloride helps keep arteries agile and clean. It’s of great help for women’s health: alleviates the symptoms of premenstrual syndrome and helps hormonal regulation. Helps remove warts and tumors: prevents the proliferation of free radicals that promote cellular abnormalities such as tumors or warts. It’s very good for asthma: helps control and prevent asthma, reducing inflammation of the airways and relaxing the smooth muscles of the lungs so they can expand better. Helps minimize the effects of aging: it’s considered an essential mineral in the fight against time, since it has great potential to stimulate the synthesis of collagen in the skin. It produces: whitening of the skin, UV protection and increases the production of collagen. It is helpful in preventing strokes (CVA): lowers blood pressure, the levels of glucose concentrations, and blood lipids. Causes a decrease in several risk factors that directly influence the predisposition to suffer a stroke. It is very efficient in preventing allergies: helps reduce histamine levels in the body and therefore avoid annoying allergies. Diarrhea: Magnesium chloride is a natural laxative when consumed orally, and its excess produces strong laxative effects like diarrhea or stomach aches. Kidney failure : magnesium chloride can form kidney stones in only two situations: If you have carried out an overtreatment of magnesium chloride and if you have had a urinary infection with grit formation in the kidneys. How about you? Do you consume magnesium chloride to treat or prevent any disease or to improve your health? What is your experience with magnesium chloride? If you want to share your experiences or clarify your doubts, leave us a comment. I am a high performance athlete and I have a little wear on the knees, I wonder if I can take it and in what amount. Sure, it will help you treat this condition. Generally, the wear of tissues around the joints and cartilage is associated with arthritis. This is a disease of inflammatory origin. As magnesium has great anti-inflammatory power, incorporating it into your diet in the form of chloride will help to improve this situation. I have migraines, will this help me treat them? Yes it does. Magnesium deficiency is indicated as a cause of migraines, since it allows serotonin levels to flow uncontrollably in the body. Hi I have a son of 21 who suffers from autism, its most prominent feature is the lack of concentration; he's very scattered. He also presents unexpected changes in his mood. I was recommended magnesium chloride . They have done well to recommend this valuable supplement. Magnesium chloride can help your child incorporate it into his diet and not suffer from this mineral deficiency. It is scientifically proven that people with autism also suffer a lack of magnesium in the body . This may be the cause of mood swings, lack of concentration, etc..
Hi, I'm 38 years old. Can I take magnesium chloride? I suffer from strong premenstrual pain and was told that chloride would help me alleviate it ... is this true? You weren't lied to. Magnesium chloride can officiate as a natural remedy to reduce symptoms of premenstrual syndrome , especially regulating hormone levels that act in it. 10 days ago I started taking magnesium chloride, a measure of cup of coffee in the morning and I noticed that it causes diarrhea, is this normal or should I stop taking it? Magnesium chloride acts as a natural laxative when consumed orally , reason why it is used to treat constipation. In your case what you can do is not to use it in the morning and distribute the dose you are taking several times a day. I do a lot of sports, martial arts for 14 years and have not known to carry some injuries, and I wonder if at this age I can take magnesium chloride in order to start preventing and solving certain problems that can happen to me . Of course you can, it is highly recommended that you begin to consume it since if you play sports it will help relax the muscles , increase your energy and also repair damaged tissues. Hello, my grandmother is 72 years old and suffers from hypertension, can she take chloride? Of course you can, one of the primary functions of magnesium is that it helps fix calcium in the bones , allowing it to go into the blood and form oxalates, causing hardening of the arteries and increased blood pressure. I have diabetes, would you recommend I take magnesium chloride? The answer is yes. Magnesium is very good for treating diabetes since it helps regulate metabolism in relation to sensitivity to insulin and to regulate the blood glucose levels. My grandma has osteoporosis, will taking magnesium chloride do well for her? Of course. Fixing the calcium in bones is one of the most important functions performed by magnesium in the body. For this reason, it is very good for treating all kinds of bone diseases, especially osteoporosis. It will help to increase bone density and prevent fractures. Can I take magnesium chloride tablets? Yes, you can. It is one of the ways that you are going to find it presented when you go buy it. It doesn’t have any difference with the crystallized chloride, but some people prefer to consume it as pills either for practicality or to avoid its saltiness. I have a friend who was diagnosed with kidney cancer. Can magnesium chloride help her? Yes, magnesium chloride could be of great help in the prevention and recovery in cancer treatment. For it stimulates the reduction of inflammation of tissues, is involved in the repair of cellular DNA information and in the correct reproduction of the same. Hello, my grandmother is 72 years old and suffers from angina. Can she take chloride and in what doses? Of course she can take it and will be very beneficial, since it will help maintain a normal heartbeat. The magnesium is involved in the relaxation of the heart muscle , avoiding spasms, arrhythmias and heart attacks. The recommended daily dose of chloride is 300 to 450 milligrams. But it is advisable to consult your cardiologist for instructions on the right dose in your case. Hi, I've been doing this cure for 2 months and I read somewhere that stones can occur in the kidneys, what's true about this? It is not true at all, quite the opposite. Magnesium chloride prevents the accumulation of calcium oxalate that acts as a major component in the formation of kidney stones. If you do not overdo the consumption and do not suffer from kidney failure, there is no chance for you to get stones. Hello, I'm 33 years old and was diagnosed a year ago with bilateral knee osteoarthritis (OA in theory), can I consider magnesium chloride as an aid? Of course, if you will be a great help, first to relieve different symptoms of osteoarthritis. But the invaluable contribution to your health is that it is scientifically proven that magnesium can regenerate worn cartilage from this disease. I have joint pain because of the chikungunya virus, would you know how much magnesium chloride I should take to fight it? The general dose is indicated at 300 to 450 milligrams per day. Magnesium has great anti-inflammatory power thus it is helpful in all kinds of diseases that have it as a protagonist. Such is the case for most of the ills affecting the joints that are caused by unusual swelling thereof. I have type 1 diabetes, insulin dependent. I wonder if you have any contraindications on taking magnesium chloride. In the case of type 1 diabetes, magnesium chloride presents no risk, quite the opposite. Magnesium helps control glucose levels in the blood by regulating the insulin secretion from the pancreas . Consume it safely at recommended doses. Hello, a year and a half ago I was operated of a breast carcinoma and I got a radical mastectomy practiced on me. I wonder if I should take magnesium chloride. Of course! This nutritional supplement will help your body greatly to regenerate its cells and remove all waste that may be left from the disease. I would like to know if due to a decalcification from chemotherapy, I can consume chloride? Yes, you can consume it without any problem and it will bring great benefits to your health. Magnesium works together with calcium naturally and is helpful because it encourages that this is set in bones, hair, nails and teeth . Thereby preventing osteoporosis and other bone diseases. I suffer from different types of allergies and was recommended to take chloride, is it true it can help me? Yes, you've been told the right thing. Magnesium chloride reduces the release of histamine and the inflammation of the airways and lungs. Thus becoming a valuable ally to fight allergies. Hello, I'm 30 years old and a little overweight, my dad recommended I take magnesium chloride. Can it help me? Sure, especially if your overweight has to do with overeating from anxiety. It is scientifically proven that magnesium is of great help in harmonizing states of anxiety that generally accompany people who are overweight when undergoing a diet. To regularize and do my digestion, should I take chloride? Yes, it will be very beneficial for this purpose. Magnesium helps in the digestion process regulating the levels of other minerals in the body, vitamin D and calcium levels. Also, it activates enzymes that help the body absorb fats, proteins and carbohydrates. I have memory problems and am pursuing a university degree, I was recommended to take magnesium chloride, is it true that it can help me? They have done very well in recommending this supplement, since among other benefits, it is helpful when wanting to enhance memory. It helps to produce better communication between neurotransmitters and neuromodulators, producing an improvement in learning, increase in working memory and improved short and long lasting memory. Good morning, my baby is 6 months old and I breast feed. As I gained a lot of weight they recommended taking chloride, can it affect my baby? Not at all, quite the contrary. Magnesium chloride will benefit both. It will help your whole body get back to normal and the baby will get the necessary contribution of this important mineral for the formation of muscles, bones and more. This supplement brings great benefits during pregnancy and while breastfeeding. I have children in growing age and they told me that I can give chloride as a nutritional supplement, is it true? Yes, you can easily do this. It’s a supplement of great help to the development in childhood and adolescence . It will help them grow strong and healthy. Magnesium will help to strengthen bones, to maintain steady heartbeat, strong immune system, and the muscles and nervous system will develop properly. Magnesium chloride, is it good to regenerate cartilage and vertebrae pads? Yes, it is very good for treating all kinds of conditions related to bones, joints and cartilage. Magnesium chloride provides the required dose of this important mineral to the body, so that it can regenerate worn cartilage. What do you consume it for? IMPORTANT: "Magnesium chloride: properties and contraindications" 's mission is to keep you informed, but dont ever substitute a medical consultation. Write your comment in "Magnesium chloride: properties and contraindications"